Green, innovative and zero carbon project development on our doorstep in Preston, Lancs, ! 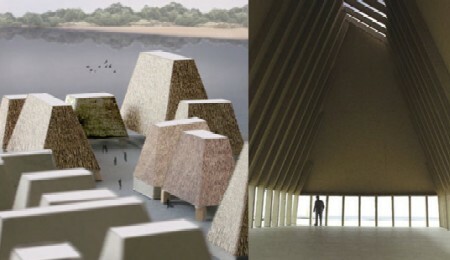 The RIBA have recently awarded a zero carbon design as the visitor center at the new Brockholes Wetland and Woodland Nature Reserve in Preston, to regenerate a former quarry site into a major visitor attraction. 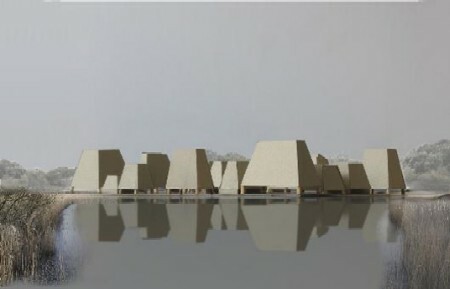 Adam Khan Architects, won the RIBA design competition to work on the ‘jewel in the crown’ of Britain’s largest eco-regeneration scheme. The project is zero-carbon in both use and production, with materials of low embodied energy – thatch, willow, timber, with off-site prefabrication and on-site energy generation and waste treatment. Floating world will feature cafe, shops, gallery, education areas and meeting rooms and is part of the £59 million Newlands Scheme, a project that will turn 900 hectares to community woodland and green space. This entry was posted in carbon, carbon footprint, comment, construction, ecological, education, energy, green buildings, innovation, Local News, News, sustainability and tagged brockholes, floating world, preston on May 5, 2008 by martin brown. This looks to be fantastic! I have a zero carbon solar panel, but a whole complex – wow. This will put you on the environmental map. Well done Lancashire.